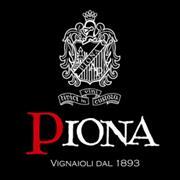 Every year, the Albino Piona winery hosts ”Art in the Winery”. This cultural event is following an annual program, and it’s organized in conjunction with important events of the area, including Vinitaly, Mille Miglia, and Marmomacc, these are all trade shows of great international importance. Every exposition within “Art in the Winery” lasts about a month. In the opening days of each exhibition, the exhibiting artists will be present in the temporary art gallery during visiting hours. Admission is free, and the gallery is open from Monday to Saturday, 8:30am – 12:30pm; 2:30pm – 6:30pm (winery opening hours). Artists are selected according to their art pieces and their relevance to the theme chosen for the edition of “Art in the winery”. 2015 will be full of new innovations, with the upcoming EXPO 2015 entitled “Feeding the Planet, Energy for Life”, containing issues of current importance concerning nutrition and insufficient land resources. Hence these arguments are what has inspired the Albino Piona Winery to create this year’s 6th Edition artistic calendar of “Art in the Winery”. From April to October the temporary art gallery will host the art collections of Roberto Bravi, Giovanni Cavassori, Ermanno Leso, Sergio Piccoli and Monica Piona and Alberto RIzzini. During the inauguration of each exhibition the artist will present their artwork while the Albino Piona Winery offers Custoza and Bardolino DOC wines, sparkling Estro di Piona Blanc and Rosé, Verde Piona amongst other Piona wines. Wine tastings and tours at the Albino Piona Winery are welcomed throughout the whole year; it is an opportunity to learn about the local food, wine and peculiarities of the Custoza DOC wine region. Cultural festival supported by Provincia di Verona and Comune di Sommacampagna. April-May: event dedicated to RECYCLING. Inauguration 11th of April 2015 with a chance to meet the artist. Exhibition of “metal images” made with salvaged and transformed tin cans and boxes. During opening day it will be possible to visit the Winery and learn about all phases of wine production, from grapevine cultivation to grape harvest, then pressing and finally bottling. “I remember as a child I was captivated while I watched my shoemaker father working with glue, leathers, nails and hammers, with expert hands. After many years of working in other fields for a living, I came across an old wooden door with patched nailed iron; to me it seemed like a true work of art. From that moment on, I began to do the same work as my father, but with different materials, iron and wood instead of leather and hide. At the beginning I renovated old furniture nailing down metal pieces, then in 2008 I moved on to some sculptures, 5 life size robots. Then, starting from 2009 I started to create canvases that I call “metal pictures”, these are collages made with pieces of metal nailed down together. I recycle old tin boxes that I find in various flea markets and tin cans abandoned in the countryside and riverbeds. Twenty years ago, a friend of mine said about me: 'Roberto loves the metal that is already in the earth.” (Roberto Bravi). We are a historic Winery in Custoza, founded in 1893.We have been preserving, for four generations, the passion for the authentic taste of the wine, following it in each phase, from the vine production, to the sale.In the new headquarters, where we also organize art events, you are always welcome to discover our winery during a guided winery tour and to taste and find the right wines for all tastes. The origins of our Company date back to 1893, when the hilly land of Custoza gave us the idea to start a new exciting business adventure. Thanks to the mild microclimate given by the lake and the chemical composition of the soil, we were able to increase the value of the millennial morainic hills, by cultivating the vines in order to produce wine. We have therefore been preserving, for four generations, the passion for the authentic taste of the wine, following it in each phase, from the vine to the production, to the sale. We believe that our commitment and professionalism are the perfect match needed in order to achieve the high level of excellence, that we continuously aim to reach. Thanks to the background inherited by our ancestors, we are able to handle the 77 hectares, family property, of vines and take care of the vine, of the wine-making and of the final product sales. Tradition and innovation work well together, using modern technology that grant more and more improvements for the product quality and the respect of the environment. We produce 500.000 bottles every year, divided in DOC, reserves, selections and sparkling wines. We would be more than happy to let you taste our wines at our winery.